Oh gorgeous bread, Nic! 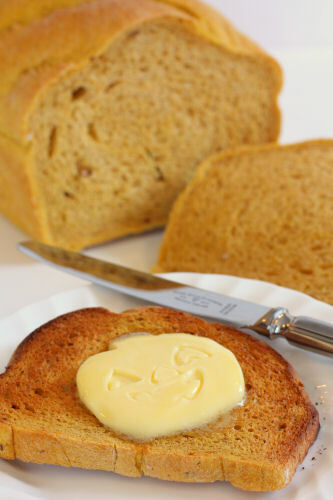 And this is wonderful sincemost pumpkin breads are quick breads. 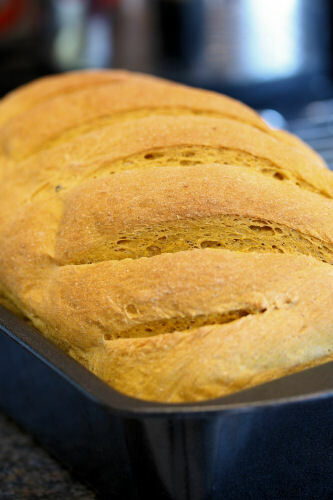 This is a perfect autumn and holiday bread for us yeast lovers! Happy World Bread Day! Your posts always inspire me Nic, and this one is wonderful. Have never done a pumpkin bread, and love the rustic feel of the recipe. Thank you for the inspiration. Off to try and post bread for Zorra!! What a gorgeous loaf. I really love the "pumpkin butter" on the bread. So cute! This looks fab. I have loads of pumpkins on the allotment that I'm running out of ideas for. Will bookmark this one!! This is perfect for the seaosn Nic. Thanks fo sharing it with us on this day of awareness. Happy World Bread Day and what a wonderful bread to celebrate it with! I'm curious, does the bread have a pumpkiny flavor or does the pumpkin just add to the color of the bread? I'm already salivating. Love, love, love pumpkins in all shapes and every recipe is a welcome one. 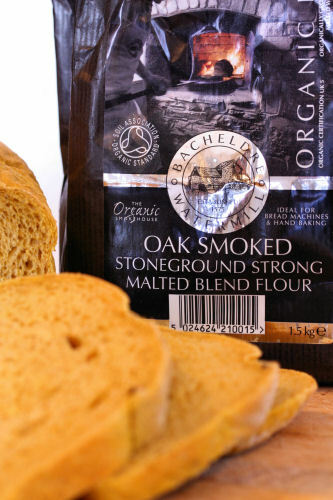 As stated by a previous poster, I am also envious of the oak smoked flour. Absolutely beautiful, I just can't get enough of pumpkin these days. Thank you for the comments - much appreciated! Lisa, it does smell pumpkiny and has a slight taste too - more thank I thought it would. it's a great bread, to be sure, but my favorite thing of all is your pumpkin-shaped pat o' butter. too cute! Wow! The pumpkin butter is very cool! What would you recommend serving this with? Just some butter so you can appreciate the subtle pumpkin taste? I really must make something with pumpkin soon. Someday I hope to take part in world bread day. You seemed to enjoy the table setting posts I did the last 2 years. Although I didn't do a table this time I have began this years posts today and for a few days. Peek if you are interested again. There were some nice ideas. Looks awesome. I made a pumpkin bread I think for the first WBD, but yours looks much better. Thank you for joining World Bread Day.